« Finishing Up Easy Street! Easy Street Finally Bound and Hung! I’ve had Easy Street finished since Bonnie released the last clue. I also quilted it pretty quickly but that binding waited a while. At last I finished sewing the binding on last night. 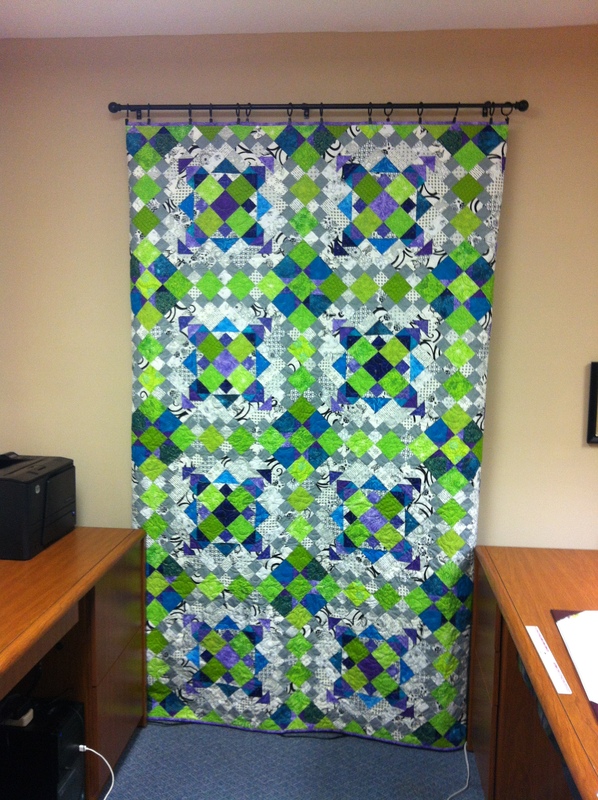 The finished quilt is now hanging in my office for a little while for me to enjoy before I decide exactly what I’m going to do with it. I may have a hard time parting with it – it just may have to stay with me for a while! Thanks again to Bonnie Hunter at Quiltville for the great mystery! !